I am a writer. I am a trained teacher. I have a master’s degree in education but I had a problem. I hated writing. I am the last person in the world who would consider writing a book, but I did! My experience as a hater of writing who overcame the fear and is now an author makes me an expert on this subject. Here are a few of my tips for people who hate to write but need to get the job done. Attitude matters! When you start to write something and you don’t want to write, you can make the job easier by changing your attitude. Have you ever thought about what you think about writing? You have an attitude about writing? What is it? Do you dislike or even hate writing? You can change your attitude? If you change your attitude, you can change everything. Now think about how you can begin to change your attitude about writing. Lots of people think they hate writing but they don’t mind posting something on Facebook, sending a note to a friend or marking up the bathroom wall with their personal love life. When you begin to think about writing as a means of communicating your opinion to others, you may begin to change your attitude. When you change your attitude, you change your life! You can go from a writing hater to a writing lover in days. Start simple! When you start writing, do not complicate matters. Do not think about writing a novel or quoting Shakespeare. Just think about getting your points across to people. What do you love to talk about or what do enjoy arguing in debate? You could even start writing by jotting down a few notes on what you hate about writing. Also, write how you talk. Don’t try to write things in old English style. Just write like you speak. Write down anything that comes to your mind and don’t worry about spelling or grammar. You can always go back and tweak things later but for now, just pretend like you are talking to your best friend, a person on Facebook or someone you love to argue with in class. Let the words flow down on paper. You can do this writing thing. You can accomplish the task. You can even write a book like I did. Get an editor! Editors are everywhere. Editors are right in front of you and you may not even know it. It may be your mother, an old school teacher or your best friend. There are many people who like to edit and you may not be aware of them especially if you spend lots of time avoiding writing tasks. When I started writing my book and people found out, they volunteered to edit it for free. I welcomed the feedback because I wanted to know if my book was interesting, readable, and clear. Then when I needed help publishing my book, I hired Editor Zari Banks. She got the job done and it was totally worth the money I spent. If an editor gives you the feedback that your writing has too many mistakes, you may want to think about taking a simple writing 101 class. Also, you can continue to follow the Writers and Author’s blog spot for more tips, or watch You Tube videos online that show you how to write. Whatever you do to advance your knowledge in the area of writing will only make it easier for you to write in the future. Have fun writing! Remember, change your attitude, make it simple and get an editor. Whatever you can do to make writing easier will help you in the end. So lighten up, relax and write! 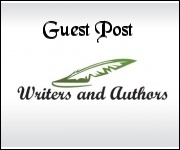 Guest post by Patti Gibble. Patti Gibble has a Master of Education degree and Bachelor of Arts in Education. She is a trained ministry worker who has directed Children’s worship and Kids’ church programs at a mega church. Patti grew up in Orlando, Florida where she worked at Disney World. She now writes books and spends time with the Holy Spirit in Tucson, Arizona. Reading a lot of stories make you good in constructing progressive plot of your stories. Remember that short stories need to start close to their end.